This station is where the two branch line split. 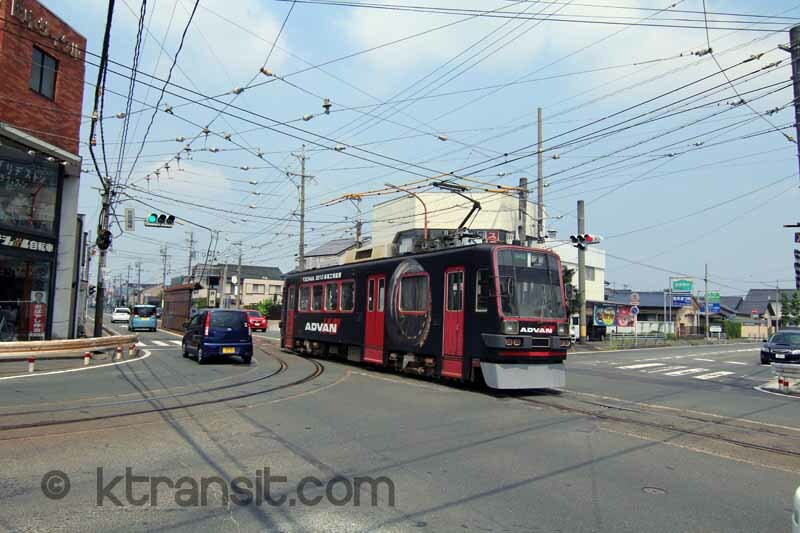 One to Akaiwaguchi, where the tram yards are, the other to Undokoenmae, which is a park. 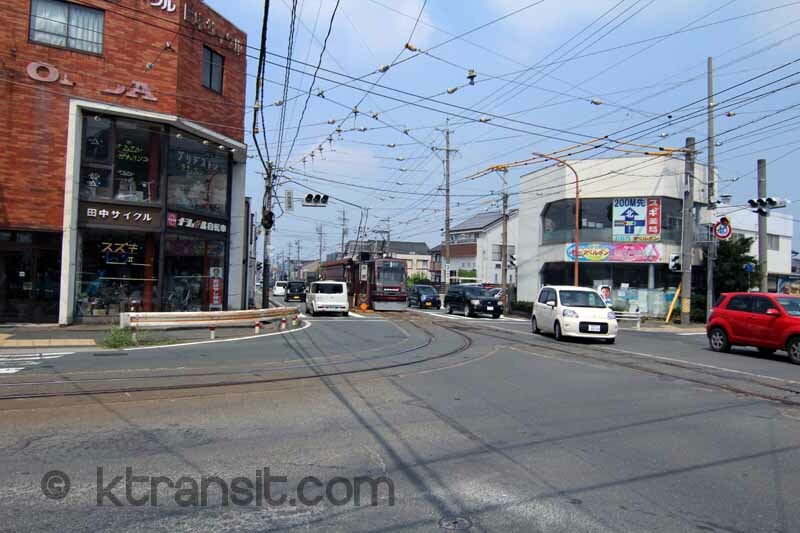 The curve for the line to the park is consider the tightest radius curve in all of Japan. 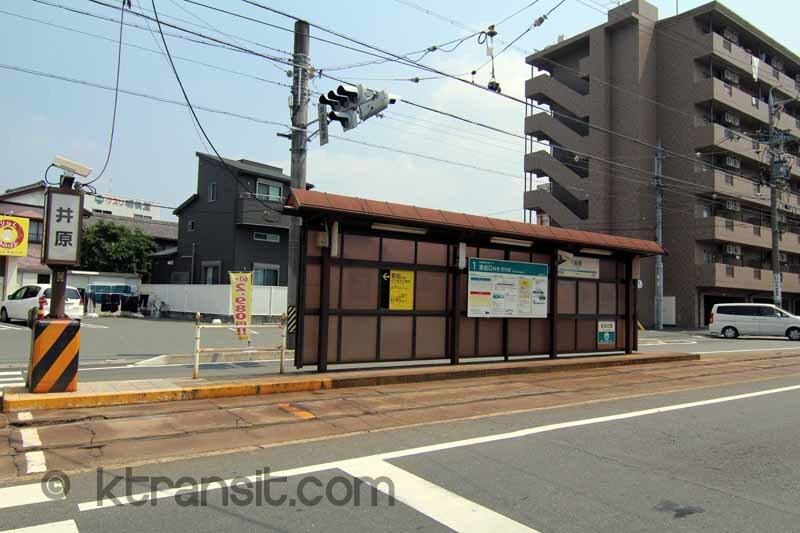 There are 3 platforms at this spot. The outbound cars stop at seperate platforms towards their respective branch. Inbound cars share the platform on the "downtown" side of the intersection. There is only single track here. Alternate cars head up the different branches.